Should Congress force industry to go green? Check out Energy Action’s Jessy Tolkan as she takes on Pat Buchanan on MSNBC’s Hardball with Chris Matthews. New York Times DOT Earth: Whose Climate Is It, Anyway? Article source: Whose Climate Is It, Anyway? Article source: Capping carbon: Is nothing better than something? 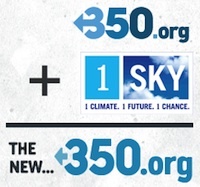 1Sky stakes out real solutions and no half-measures for Congressional action.